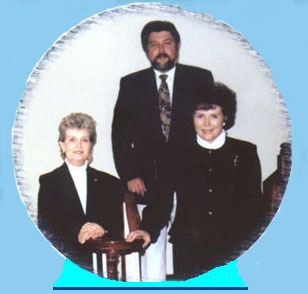 The Messengers, a traditional Sothern Gospel trio from Center, Texas (East Texas), was formed in 1996. Members are Jojuana Gilbert, Dickie & Eldora Gilchrist. Each member, though involved in the music ministry in our individual churches, felt God's call to expand our ministry in a greater way. Where He leads, We'll follow !! Our goal is to stand firm in our commitment to our Lord and to share God's message of love and salvation in every song. We work very hard on our music, 3-part harmonies and arrangements. We hope to lift a burden and bring a ray of sunshine into your heart through the Blessed hope of Jesus.